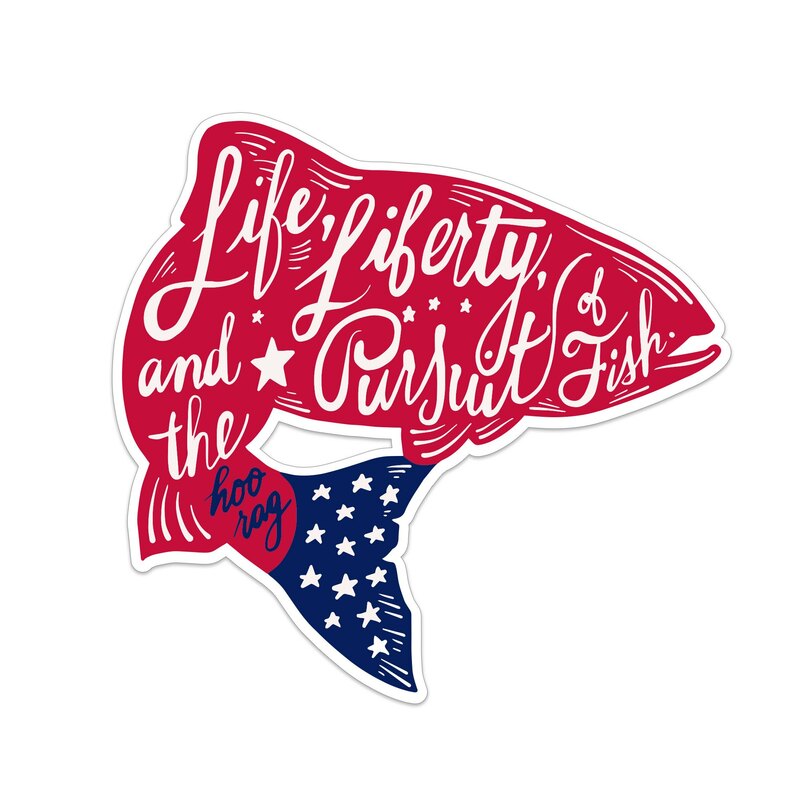 What can be more American than this sticker? Nothing in our opinion. A beautiful trout in a striking red white and blue design featuring the words “Life, Liberty and the Pursuit of Fish.” Show it off. We know you want to.